I was surprised. 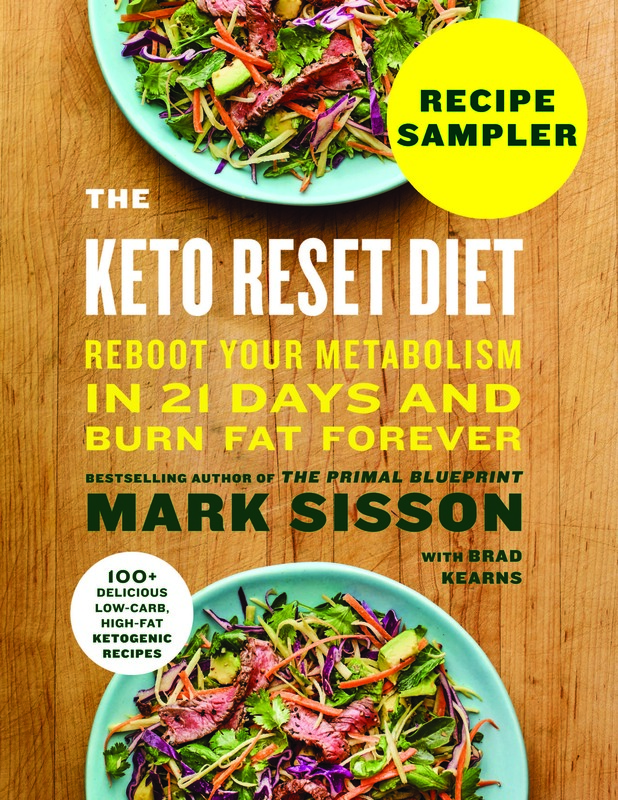 While I get most of my scientific references from USAToday (the “Works Cited” section of my upcoming keto book is just a single link to USAToday.com) and they’ve never let me down in the past, I didn’t know what to make of their coconut oil claims. Had I entered an alternate timeline? Did the Tokelau people of the South Pacific obtain 50% of their calories from PUFA-laden soybean oil, and not saturated fat derived from coconuts? Did the Kitavans thrive on an admittedly high-carb diet not by supplementing it with coconut cream and meat, but by dousing their yams and fish in Unilever margarine shipped in from across the ocean? I did some digging, revisited some other sources I’ve used in the past. Turns out I wasn’t crazy. Everything was the same. The Tokelau people really did show zero signs of heart disease despite eating a 50% coconut fat diet. They really did start getting fat and diabetic and heart diseased only after the introduction of wheat, sugar, and vegetable oils. And the Kitavans did eat a high-coconut oil, high-carb diet and thrived while doing it. I could probably stop this post here. I mean, 50% of calories from coconut oil and pristine health is about as resounding a debunking of the AHA’s position you could produce. Let’s keep going, though…. LDL has something to do with heart disease. Maybe it’s the LDL particles. Maybe it’s the oxidized LDL. Maybe it’s all that and more. I just wish the AHA would branch out a bit is all. For example, you’d think the American Heart Association would find it interesting that PUFA metabolites are actually biomarkers of non-alcoholic steatohepatitis (fatty liver + liver inflammation). If you want a non-invasive way to diagnose it, just look at how much PUFA they’re metabolizing. They don’t. Maybe they haven’t seen the research. Coconut oil consistently raises HDL in humans who eat it. Higher HDL is linked to protection from heart disease, and higher HDL:Total cholesterol ratios are often the best predictors of protection from heart disease, beating the AHA’s favorite HDL:LDL ratio in predictive power. It even improves cardiometabolic status in heart disease patients—the group the AHA is convinced coconut oil will kill. 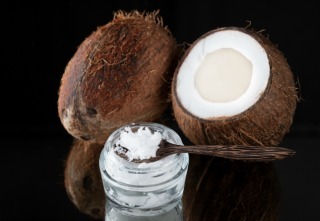 Patients who ate coconut oil saw reductions in waist circumference and body weight and increases in HDL. Another study also found that coconut oil reduces waist circumference, albeit with the biggest effects seen in males. That said, an even earlier study found that overweight women were able to reduce abdominal fat using dietary coconut oil. Seems to be good for goose and gander, even if the geese have heart disease. 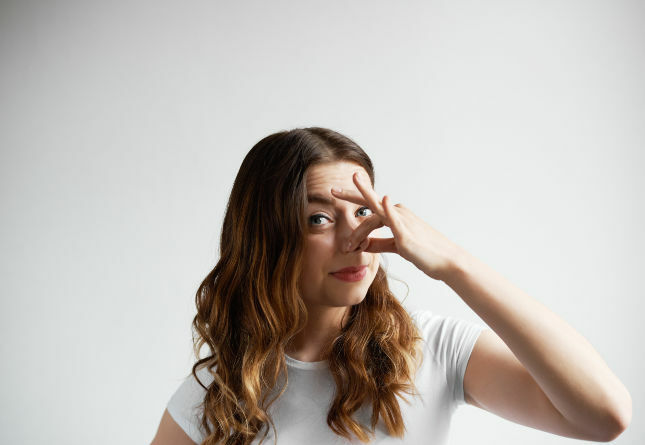 To the AHA’s credit, a doctor quoted in the USA Today article noted, “You can put it on your body, but don’t put it in your body.” You just got permission to rub it on your skin as lotion, make it into deodorant and apply it to your armpits, and use it to condition your hair. Personally, I put stock in actual clinical research into the topical effects of coconut oil—without the same fear-mongering around its dietary intake. In hair, the shorter-chained fatty acids allow coconut oil better penetration to the hair proteins. This protects them from sun damage and results in less hair protein loss when compared to mineral oil or sunflower oil. On the skin, coconut oil performs admirably against mineral oil in the treatment of scaly skin. It also beats mineral oil in dermatitis patients. Oil pulling with virgin coconut oil (swishing it around in your mouth, making sure to get between the teeth, before brushing or eating in the morning) reduces the presence of cavity-causing bacteria in the saliva. Just don’t swallow. The late Seth Roberts eliminated toenail fungus with virgin coconut oil. He applied a thin layer to the affected foot each day, then covered them with socks. This is just an anecdote, but we know that lauric acid—one of the primary fats in coconut oil—is antimicrobial. In the interest of fairness, I’ll follow up with some negatives. Coconut oil isn’t a panacea. It’s terrible for frying eggs. Maybe I’m doing something wrong, but my eggs always stick when I try to use coconut oil as the frying medium. No, I’m not adding the eggs too early. This doesn’t happen with other fats. The taste isn’t great with eggs, either, to be honest. Coconut oil is not the same as whole coconut. The cultures that did so well on high-coconut fat diets weren’t eating spoonfuls of refined (or even virgin) coconut oil. They were by and large processing and using the whole coconut—flesh, juice, fiber, and all. It’s one of the reasons why I’ll often turn to coconut butter over oil, like if I’m making a curry. Coconut butter is flesh and fat and fiber. If you intend on emulating the Tokelau diet with 50% of calories from coconut fat, stick to whole coconut, not straight oil. It does raise LDL. This doesn’t worry me, especially given all the “offsetting favorable effects,” but it may be an issue for certain people. Anytime you make a big dietary change—like suddenly eating a bunch of coconut fat—you should track changes to your physiology and biomarkers. I will say this for the AHA: At least we can dispense with the accusations of conflicts of interest. After all, the coconut industry of America just pledged to donate up to $500k from coconut seed sales to the American Heart Association. For the AHA to come out strongly against coconut oil after getting such a sweet deal only confirms the objectivity of the assessment. Even if they’re wrong, they’re not biased. Oh, wait. It was the soybean industry that pledged to donate the money to the AHA? Never mind. Anyway, that’s my take on the latest AHA attack on coconut oil. What’s yours? 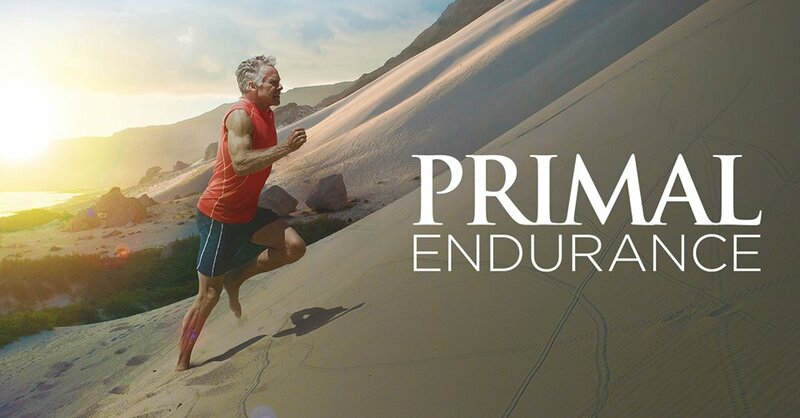 < Previous postIntroducing the Primal Endurance Mastery Course! LOL! Yes, USA Today is … uh … trying to think of something nice … oh yeah, it’s colorful and has a great gossip section, if I remember correctly when I see stacks of them lying unread in hotels. I read that article somewhere though and it concerned me. When I get concerned I tend to eat a little more, so I had a couple of extra slabs of coconut oil that morning and immediately felt better. AHA–does sound like the 1950’s–you think? re: At least we can dispense with the accusations of conflicts of interest. Read the paper. See if you can reconcile row 1 (F.M.S.) of the Disclosures table (Consultant/Advisory Board column) with footnote#3. The AHA may have picked, as lead author, a person among the least likely on the planet to objectively reconsider the AHA’s dietary advice. My guess is that the whole thing is really about massive liability management. Nevertheless, you’ve brought up an important point. Scientific studies would be much more reliable were it not for the biases of the authors. Granted, there are studies which are much more biased than others, but I continue to be surprised by those who blindly accept scientific research simply because it’s scientific research. They fail to realize that, especially with powerful funding organizations, it has more to do with politics than with science. What’s especially frustrating to me is the blind deference to academia. There isn’t a single author in the study who isn’t employed by a research university or its affiliated hospital system. And in medical academia, one must not upset the status quo, lest he or she be mocked, scorned, and banished from the community. It’s fitting the word pedant comes from the Italian word for teacher. One of the things I like so much about Mark’s approach is that he tends to provide multiple studies as a basis for his claims. What’s more, he even revises his stances from time to time, as he recently did with his position on legumes. It’s impossible to have a meaningful discussion with an unflinching know-it-all, so it’s refreshing to read the advice of someone who has no such obstinacy. Thanks, PA. My comment was in the spirit of what I considered Mark’s obvious sarcasm, but yes, I wanted to rephrase it just as soon as I hit [Post Comment]. It is ever thus on the internet. This paper is just dripping with COIs. The spreading criticism of it can’t help but alert many in the general public to just how destructive AHA dogma can be (and not just on diet). Am I the only one here who doesn’t like coconut oil? I don’t like anything about coconuts, not the meat, the milk, the oil, or the flavor. Never have. I usually cook with bacon fat or butter.. Does anyone else use sesame oil? 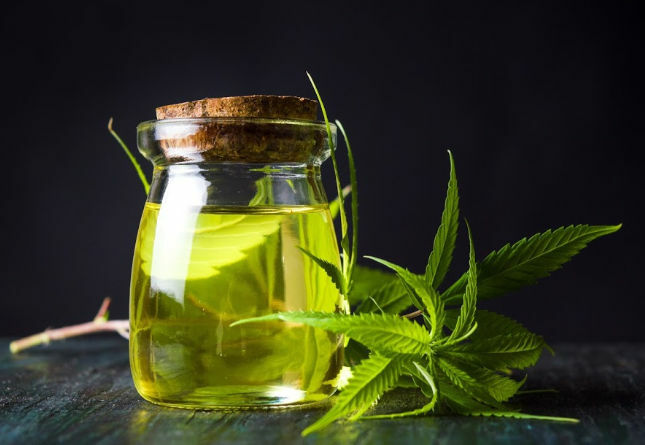 It is supposed to have quite a few impressive health benefits, including the ability to reduce inflammation and lower blood pressure. I don’t cook with it much but I do like it on salads and a few other things..
I’m with you mostly. I’ve heard seed oils are bad, but I use Avocado oil for cooking. Oh my goodness, you don’t like coconut butter? That is my absolute favorite treat! Like scd, I avoid the seed oils. 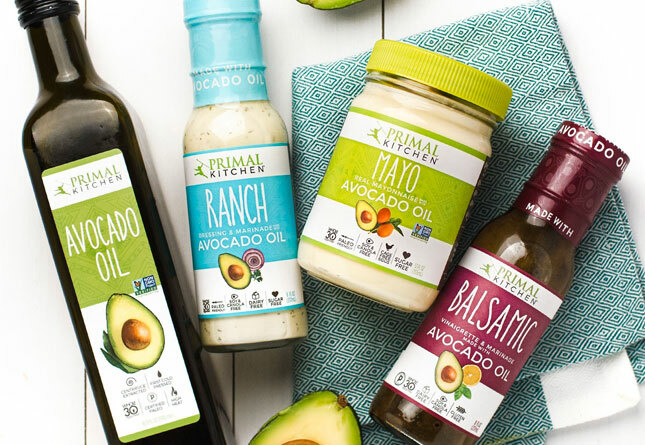 I love olive and avocado oils in dressings. Coconut oil isn’t my thing, either: it makes my throat itcc, probably from mold contaminants. I try not to eat fried foods. When I fry, I prefer bacon grease or peanut oil, like most Southern cooks. Olive oil is my choice for beef: it browns like nothing else and develops a sweet flavor in the meat. Sesame makes salads stellar, from simple leaf lettuce through fruit salads and the belovef BAS. The darker, the better, and the Chinese make the best. Darn it, Shary, you’ve made me hungry. You may just be the one who doesn’t like coconut oil. Be warned that some coconut oil is hydrogenated. This is done in order to raise the melting point and keep it reliably solid at room temperature — in other words, convenience. Natural coconut oil will melt at 76 degree F, the temperature of a warm kitchen or a warm factory floor. If the melt temperature is 92 F, it has been hydrogenated. A big part of the benefit of coconut oil is its short chain sat-fats, however it does contain some PUFAs (which, as we know are, beneficial in small amounts), and hydrogenating destroys the beneficial dose of PUFAs — artificially saturating most of them and, as is always the case with hydrogenation, creating some trans-fats as a byproduct. IIRC the studies decades ago that tagged coconut oil as harmful, used the hydrogenated coconut oil as the sole fat source, which induced PUFA deficiency in the animals. So make sure it’s 76 degree melting. I often wonder how anyone associated with the AHA manages to sleep at night! If you consider all the people who have suffered an died prematurely because of all the unscientific and downright WRONG advice the AHA has been forcing down our throats since it came into being, if I had been a part of this mess, I would want to end my own life rather than ponder what I had done to so many innocent and trusting souls!!!! I too have noticed that frying eggs in pure coconut oil doesn’t work very well. But, blending in another fat (butter, EVOO, lard, etc) in a 1:1 ratio solves the sticking issue. Thanks for the EVOO/coconut oil blend suggestion – will try it tonight for dinner, even though I am guessing the AHA is still opposed to eggs due to their dreaded cholesterol content…. I have found that eggs fried in coconut oil on low heat, turn out perfectly and no pan stick if you coat the pan first. I use stainless steel pans. My wife and I fry our eggs in coconut oil with no issue. We use a cast iron skillet, put a TBSP or two of coconut oil in the skillet on medium or just under medium heat (gas burner). I let the oil melt and then disperse it relatively evenly and put the eggs on and let cook them fairly slowly to over easy, shut the burner off and flip the eggs for a few seconds and they slide right off with no left over egg sticking! We’ve grown accustomed to the taste as well. I’ve been using coconut oil from a jar from Aldi’s for a long time. I cook my eggs in it in cast iron as well. They never stick and I like the taste. 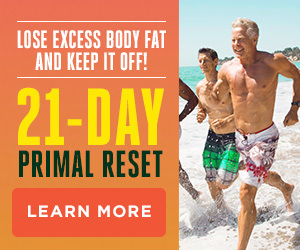 I’m a 56 yo female who has been primal/paleo for three years. I consume no refined industrial oils, lots of saturated fats, a good amount of olive oil, and gobs of coconut products — 3-4 cans of coconut milk or cream a week, 8 oz or more virgin coconut oil per week, cups of coconut meat, coconut butter, coconut flour, creamed coconut and whatever else coconut product I can find. I eat coconut cream or butter by the tablespoon full for a quick energy boost or to get me through to the next meal. Just yesterday I had an appointment with my primary care provider to review my blood test results. In my provider’s words, my results were “phenomenal.” My HDL is 106 (more than 46 is considered healthy), my triglycerides are 116 (less than 150 is healthy) and my ratio is 2.2 (less than 5 is healthy). Every single number on two pages of lab results was fantastic – Kidney and liver function, thyroid function, A1C, blood platelets and 20 other blood cell measurements were perfect. And my blood pressure was 122/76. I think I’ll stick with my coconuts. Wow, you are kookoo for coconuts! Congratulations! Those are outstanding numbers! I’m with you on the spoonful of coconut butter, it can provide the tastiest energy boost. Here’s what Gary Taubes has to say, and not man people could say it better. AHA has been doing a good job so far. Oh wait! I take that back. Bad science on my part! My pre-diabetic and chubby arse (along with the rest of my body) have thrived on a paleo/keto diet for over 18 months. The change in my health and body are incredible and I have never felt better. This is the only time in my life I have been able to successfully stick to any “diet” and with so much grace (Haha). I seldom feel hungry. I am much more alert. Feel and am getting incredibly strong. About 30 to 40% my calories do come from fats; organic butter, coconut oil and olive oil alongside the animal fats that I may consume through my meals. I’ve had blood work every 6 months since I was told I was a pre-diabetic (the scariest diagnosis I can ever remember receiving to-date) and I knew I had to do something about my health. I’ve lost over 50 lbs (40 of them in 4 months flat) and my numbers have all moved in the right direction. I was genuinely worried about my cholesterol because of my keto lifestyle, but as it turned out, I have never felt better or been healthier than I am today, at the age of 43. My process started by learning about a primal lifestyle and I it’s one of the best decisions I ever made. Totally agree, Krish (“Oil is not a whole food”). Grok didn’t milk cows or coconuts and wait for the cream to rise to the top, any more than he concentrated out the sugar from a sugarcane stalk. A little good oil (coconut, olive, butter, etc) to cook in or season veggies is fine, but I still go easy on it, like I do bacon (the darling of the Paleo crowd but still processed), and those nut flours (Grok ate a handful of nuts after battling them out of their shells, not 2 cups worth in a cupcake). I agree that AHA and the whole govt/medical establishment is not to be trusted in their advice. We have to think for ourselves. Krish, OctoberAmy: I wholeheartedly agree with your comments, but they bring to mind my little pet peeve in the paleo-sphere – “processed”. What does that really mean? It is used in a negative sense almost universally in the paleo-sphere, but it is so vague as to be meaningless. I’ve cured my own bacon, from healthy, pasture raised pigs, using nothing but salt. Technically processed, but I would claim very healthy. My point is: it’s the ingredients that matter, not the processing. If your ingredients are something you can pick in the field, or slaughter from an animal, you’ll likely end up with something healthy. If you start with food components, add non-naturally occurring chemicals, etc., probably not so healthy. That comment alone was worth the read! That was absolutely awesome. I agree that comment sealed the deal on a fantastic article. The ADA recommends 13 grams of Saturated Fat per day. 1 tablespoon of Coconut Oil is 12 grams of Saturated fat. I used about 1/2 tablespoons of coconut oil per day. I’m sure we will all be fine. Your amazing!!! This was definitely a good read. I have a hard time with every other day something that’s healthy and natural is now all of a sudden bad. I live by coconut oil for its antibacterial and anti inflammatory properties. Still my favorite!!! “Oh wait. It was the soybean industry…” ??? Ugh. Those ??? We’re laughing emojis when I wrote the post. The AHA article referenced data discounting the positive effect of elevated HDL – probably so that they could justify their position RE the evils of LDL. It’s a matter of taste. Coconut oil stinks, and some people use it in their hair overnight once a week or so to help w/ shine, growth, whatever, but I wouldn’t cook with what I put in my hair, lol! Food should taste good! Do you not like the smell of coconuts, or did you get a bad or low quality coconut oil? High quality coconut oil doesn’t ‘stink’ unless you don’t like the smell of coconut. It’s an oily lightly coconut smell and that’s it. Just think about the [class action] lawsuits that could happen if organizations like the American Heart Association or American Diabetes Association or American Medical Association, etc., ever reversed the faulty advice they have dispensed for the past half century. They will never reverse. All too true Dee. Same bad science and advice here in Australia. Scum always rises to the surface unfortunately, happens everywhere. Worth considering who funded the research. In short, all those who stand to loose customers who turn their backs on seed oils; same for grains growers and those promoting sugar and soda and process food. Coconut oil also removes mascara very well. Put some on a tissue or cotton pad, apply to eye for a couple seconds, and wipe. Clean eyelids. I’m an active person who’s been eating a nutrient dense, fish/seafood lc diet with moderate fat from olive oil/butter/coco oil for 40 years and always had a healthy lipid profile with very low triglycerides, high HDL, low-moderate LDL and total cholesterol. After 6 months of going slightly more keto a few years ago and introducing MCT oil, my thyroid levels plummeted, my (very painful) liver became enlarged, and my gall bladder EF dropped to just 1% above the rate at which surgery is performed. Altho my standard lipid panel still looked acceptable, an NMR showed my LDL particles skyrocketed from 318 to 1600 (still large and fluffy), and tho my total HDL remained constant, the useful type 2 particles dropped into the sub-clinical range. Although my weight didn’t change much, I gained 1-1/2″ in waist circumference and packed on observable belly fat, and no amount of exercise or dietary manipulation has changed this. Just saying… please keep an eye on your detailed lipid profile (NMR) when increasing saturated fat; the basic lipid profile you get on a chem panel will not accurately reflect how your lipids are changing. It’s worth knowing your actual numbers. I concur. I think in the effort to combat fat phobia, the primal/paleo crowd can get a little overboard in the opposite direction. Saturated fat in large quantities can play havoc with your lipids. For some, or even many,slamming tablespoons of purified fats (butter, coconut oil, avocado oil, etc) won’t do you any favors. Since we know that it’s the LDL Particle number and not the LDL number that is the issue, are you aware of any studies that show how Coconut Oil effects LDL-P? I’d love to be able to present that to the physician I work with and/or to my patients. Good to know; I too had eggs sticking to the pan when using coconut oil and didn’t understand why. I now use ghee which is tastier anyway. And as far as the AHA, you are too easy on them. I stopped taking them seriously a long time ago. Just looking at the LDL numbers is misleading because it doesn’t provide detail regarding the size of the LDL molecules. If they are large – not a problem because they won’t fit the smaller vessels – if they are small then they can enter the small vessels which clogs the arteries. Coconut products make me feel good, inside and out. Last time I went to the doctor for a checkup she ordered me to not come back for at least three years. The while staff was shocked that I’m not on any meds though I’m in the “over 40” age group. That’s all the proof I need. Your posts crack me up, Mark. Thanks for being awesome. Mark – I think you and Dave Asprey and the rest missed this fact: the Tokelau do not eat coconut oil, which is a processed food. They eat the whole food which far more nutritious…the coconut. Just like olives vs. olive oil. The whole food has more nutrients and is not a processed source of calories. I had a crazy rash on my skin….tiny little bumps and extremely itchy all over my body. No doctor could tell me what caused it and they all wanted me to go on rounds of antibiotics, some doctors even suggested steroids. I jumped on line and did some research….and went out to buy some virgin cold pressed coconut oil. I swapped out my beloved Neutrogena Sesame Seed oil and began using the coconut oil as a body moisturizer. In 24 hours…..24 hour hours(! )….the entire rash was gone. Gee…wonder why our health care costs so much?! I love my eggs with coconut oil! Haha, I guess to each his own, but it is true that it does not do as good of a job as olive oil or ghee for non stick purposes. Should the AHA motto be “Unfair and Unbalanced”? The whole pseudo meta analysis was based on 4 studies all published in the 60’s. They rejected all others published in the las 20 years. Look up meaning of “confirmation bias” , “Cognitive dissonance” or “Revert to Authority”. Also follow the money. HI Mark, We wrote a bit about this here. One advantage of coconut oil is, that while it increases LDL (for the first six months only in rabbits – no-one has bothered to follow humaans that long) it decreases postprandial lipaemia, because lauric acid, being polar, needn’t go into chylomicrons. This is a part of risk, if there is a lipid risk, that’s unmeasured in standard tests, and is equal to a reduction in LDL to offset the fasting increase. 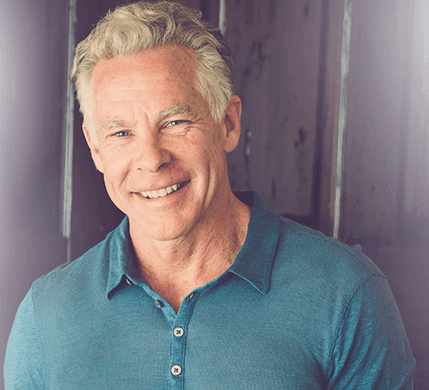 Love me some Mark Sisson. Heat your pan before adding your coconut oil, heat oil a little and then add the eggs. The Tokelau people DID NOT GET 50% of calories from coconut oil!! “In Fakaofo in 1968 and 1971 the staples were coconut, fish, and breadfruit. Every meal contained coconut in some form- the green nut provided beverage, the mature nut either grated or as coconut cream was cooked with tare, breadfruit or rice. Fishing was one of the main occupations of men and fish was boiled, broiled on coral embers or fried. another main meal in late afternoon. products were not used. Eggs were rarely eaten. Chicken and pork were used on special feast occasions. Analyses have shown a high content of short chain lauric and myristic fatty acids from coconut in fat samples from pigs and chickens. Thanks, I’ve been waiting for this post. My own family history of heart disease should should have me popping Lipitor by the handful by now, especially with all the coconut oil/butter/flesh I eat almost daily on top of all the other meat and nuts I cant keep my hands off of. And my oh so important numbers are still confusingly great. Perhaps all this isn’t a misguided fad. What about coconut mea for humansl? I feed my horses coconut meal and have wondered if it would be good as another protein and fat source for me.. The horses love it and their coats are slick and shiny. They don’t get a sugar high from regular feeds and are more focused in their work. Caution, oil pulling may cause dry mouth which would more adversely affect your oral health than any potential benefit. Oil pulling research is limited and non-conclusive, including the article cited. I fry eggs in Lou Ann organic coconut oil with no sticking; they slide right out onto my plate. AMA’s version of fake news on the subject. lol I’m going to give pulling a try next. A fascinating article Mark. However the LDL detail is missing information. What are the effects of Coconut oil consumption on triglyceride levels, presuming the rest of the diet also avoids sugar and fructose sources? Dr Robert Lustig’s observations about LDL is that it isn’t all bad, only the “Small Dense LDL is, rather than the “Light Bubble LDL”. The only way to determine the levels of either is what the trigylceride levels are telling you. High triglycerides mean elevated levels of the Bad type of LDL. As usual, sound bites and half truths from American based and industry rigged ‘foundations’ are only looking at maintaining their own self preservation and relevance. I’m guessing that if the data exists, the triglyceride markers from coconut oil consumption will be lower, and that the increase in LDL total is attributed to Large Bubble type. And this manifestly isn’t the Evil the AHA is making it out to be. It seems like The Ancel Keys propaganda is alive and well. The general public is now aware (again) of how bad coconut oil is for them. They can now enjoy their soybean, safflower etc. oils knowing they are the oils to use for health.. I do all my frying in coconut oil now…it tastes amazing. Most of the negative studies on coconut oil are completely faulty! The AHA is nothing but a lobbyist organization for Big Pharma and Big Agriculture (and the big pseudo-food companies). These mega-corporations make money when: 1) people buy their highly-processed pseudo-food;, and 2) when more people have chronic disease, as a result of eating all that processed junk. All you have to do is follow the money trail to understand why AHA doles out the dietary advice that they do. Ignore their highly-biased, flawed advice – eat real, whole foods, and you’ll be much healthier. I cook eggs in Luann’s Coconut Oil. I only eat scrambled so here is my non stick recipe. I use a cast iron frying pan. First, use free range eggs. If you want golden and tasty, use free range local eggs. I cook three at a time for me and my wife. First, add one tablespoon of water per egg. This is essential. The water turns to steam and fluffs up the eggs. I use two table spoons of coconut oil. Put this in the pan and turn the burner to high. Scramble the eggs with water. Beat them lifting the fork to add air. When the oil starts to smoke, you are ready. Pour eggs into pan. Immediately stir with a WOODEN spoon. Pull off heat after stirring four times. Keep stirring until you get the set you want: soft to hard. You can add chopped onions, peppers, shredded cheese, or anything else at any point. Your scrambled eggs will be perfect. Probably nothing, other than it doesn’t sound very appealing. If your stomach can deal with the bacteria in your saliva, it won’t have a problem with bacteria in the coconut oil either. I think the idea that it’s dangerous stems from the notion that you are also pulling toxins from your blood by oil pulling–which is pure nonsense. I fry my eggs in coconut oil & don’t have any problems with sticking in my cast iron pan. In fact, this morning my dog got a treat when one of my eggs slid off the spatula on the way to the plate! There is a different taste, but not one I mind, that’s personal. Putting it on my skin or hair doesn’t work for me; too heavy for my fine hair (takes at least three soaping to get hair clean after application), & my skin doesn’t always like it either–again that’s personal response. Other than that I like it better for baking than olive oil. This made me think of a theorem for information from the AHA: Industrial processed food = Future Statin customer. Also try eating a tablespoon or two of virgin coconut oil for various allergies. It works for me. No need for cetirizine and other synthetic forms of anti-histamine. Works better if you follow it up with another tablespoon of coconut sugar. They find “spread” more profitable? “Spread” so offal we can’t even call it margarine. Never knew Coconut milk has all these benefits!!! Sorry, not that it’s your responsibility to do so, but it’s about time you weighed in on this mind boggling national headline! I do use coconut oil for cooking my eggs. I use a low temp that still allows the eggs to cook. When I do that they NEVER stick. When I heard about this study, my first thought was, “Who funded this study?”. Now I know. It’s terrible that we can’t trust so many of these studies. Thank you! I needed this information to rebuttal that coconut oil was going to kill me to a colleague. I meant to say “NOT” a comment on coconuts,. An editing feature would sure be helpful. Don’t meth addicts stop being meth addicts one way or another. Apparently Fentanyl addicts drop the habit in short order, usually by overdose. Maybe the AHA motto should read “Unfair and Unbalanced”. Brilliant, as usual. Follow the money. I will not change my diet based on anything the AHA says these days. Why not swallow after swishing in mouth? I’ve been doing it for a few years now. I agree…eggs fried in coconut oil aren’t the tastiest. But, there are so many other ways to enjoy coconut and it’s amazing benefits (like you’ve mentioned). I haven’t found a better teeth whitener than oil pulling with coconut oil. I put it in my coffee every morning. 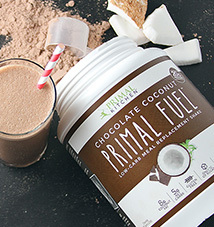 And love the unsweetened coconut meat! Plus, I just discovered the unique and delicious richness of coconut butter. Yum! Considering all the proven benefits of coconut I was surprised by the AHA’s latest attacks on coconut….but then again, considering some of their past shenanigans, maybe not so surprised after all. Good to know about eating the flesh and fiber. I had a difficult time downing coconut oil, and I dont like oily coffee, so I have been eating Artisana’s coconut butter. Its the best of all the brands IMO. Its like having dessert. Really delish and my thinking was that it HAD to be healthy, and as good as slurping the oil down. Nice to have my conclusions validated ! Why not to swallow? We have the bacteria (alive) in our mouth 24 hours a day. If we once swallow then dead – what is going to happen? I never understood the idea of spitting such a good oil because it has some dead bacteria (which we swallow every few seconds alive with our saliva). Could you please elaborate on it? Great resource list, thanks. I just got word that I am part of a class action suit against Costco. Apparently they used the word “healthy” on a jar of virgin coconut oil I bought, and for this heinous crime they must pay US$775,000. I will use these studies to prepare my objection. I can’t find the link to the $500K donation made to the AHA by Bayer.